When Google first opened their search engine in the late 1990′s it revolutionized the way people found information online. Google came along with a way to show the best results at the top of search results. PageRank (a trademark of Google) is what made this possible. Understanding how it works is vital if you want to make your site show up higher in search engines. PageRank is a numerical score. The higher the PageRank, the more important and authoritative the web page. It’s assigned to every page that Google indexes. Basically, PageRank is the likelihood that someone clicking links at random will visit a particular page. Google uses PageRank to figure out what results to show first. It figures out what pages are most relevant to the phrase that was searched for. Then, it filters and sorts those results based on PageRank. Testimonials add something very special to your website, when they’re authentic. It’s a third party who presumably has nothing to gain by saying good things about you. Readers are more inclined to believe a third party, but poorly executed testimonials just won’t do. When a third party talks about how great you are, it’s completely different. They don’t profit when you make a sale. Yet, they took the time to write a few words expressing their satisfaction. A visitor to your site can read some testimonials and feel reassured that real people have gotten real benefit from doing business with you. Of course, since the testimonial is on your website you could have written it yourself or edited it heavily. In fact, a lot of people do write the testimonials themselves and ask clients to sign off on it as if they had written it. Don’t do that. Your testimonials will all sound the same and people will not be swayed by the words. Get people to write their own testimonials. The main reason I hear why people write testimonials for their customers or clients is that they asked for testimonials and never got them. It’s not because people don’t want to write them or don’t have time. It’s because they don’t know what to say. Everyone has their own voice and that’s the single most important thing to capture in order to make your testimonials authentic. The varying tone and voice in your testimonials will make everything believable to the reader. Give attributions for each testimonial. Real people have names, occupations, and live in specific places. Provide that info along with the testimonial! Nothing says unauthentic like testimonials without names. Granted, some industries shouldn’t give out names for confidentiality reasons, but whenever possible provide a name. If you serve a wide geographic region you can show that off by listing the location with each testimonial. This will reassure readers that you’re a match for them even if they live further away from your home base. Additionally, it adds another layer of authenticity. Listing the occupation of your testimonial’s author is another way to show visitors they’re in the right place, that what you offer can help them. This is especially useful in the business to business market. It lets you demonstrate that you either serve a wide range of industries or have a specific niche that you focus on. Got pictures? Use them! Reading words and names is one thing. Seeing someone’s face is another. If feasible, provide a picture along with each testimonial. Outside of video, nothing will make your testimonials more three dimensional than a picture. Remember to capture and showcase the unique voice and identity that goes with each testimonial. Your visitors will recognize the authenticity and be reassured by the third party validation. Of course, testimonials aren’t as powerful as reviews in third party websites or publications, or word of mouth. They are a powerful sales tool, though. I suggest having a section of your website devoted to showing them off, and using them any place where a visitors will be making a decision on whether to do business with you or not. There are hundreds of places to share your video online. Click above to search for them. Video is huge. It’s all over the web these days. There’s nothing new about that, but what I see is a lot of small businesses that still aren’t using it. It wasn’t that long ago when having video play right on your website was a difficult and expensive task. Today, there’s simply no excuse: video sites handle the technical side for you and affordable HD cameras can make you look like a pro. In the average US home, a television is turned on for over 6 hours a day. No matter how familiar someone is with the web you can be sure they’re used to video. No matter how complicated your website is, video is simple. It takes a click to play it, and then your visitor can just sit back and consume your message. There are a variety of ways you can put video to use effectively. Welcome Videos — These are really good at getting the visitor’s attention and making sure they feel like they’re in the right place. Ideally the video will show a person talking, but it could also just be a slide-show with voice over. Product Videos — If you’re doing eCommerce then product videos can really boost your conversions. Looking at pictures and reading about a product can only make it so real for us. When we see it in motion, with a real person using it and talking about it, a product becomes much more real. Virtual Tour Videos — Show off your facilities and offerings with a video tour of your business. Be sure to highlight things that make your shop unique and get someone passionate to narrate the tour. Sales Videos — Use video on a sales page to drive home the benefits and wash away the objections of your prospect. You can pick up a pocket sized HD video camera for less than $150 plus the cost of a memory card. I got a Kodak Zi8 for my birthday this past week, and I think that’s the best option out there, right now, for web video. If you’re camera shopping, make sure it has a microphone jack so you can upgrade your audio equipment as your budget allows. You can edit your video in iMovie or Movie Maker then just upload it to YouTube, Vimeo, and tons of other sites. Then, just look for the “embed” link and send that code to your webmaster or paste it into your site. 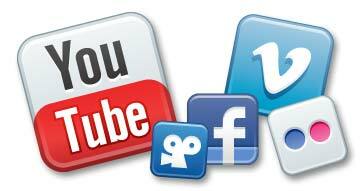 Don’t forget to post links to your video on your social media sites as well. So, when you’re out doing your weekend shopping why not pick up a cheap camera and start playing around with video. Your website will become instantly more engaging for users and you’ll benefit from the increases in visit depth, time on site, and conversions. This post first appeared in my small business e-mail newsletter. You should be issuing press releases regularly for two reasons. To get increased media visibility and coverage, giving you better brand recognition, trust and authority. For increased traffic and links for your website, giving you more sign-ups and revenue. Now, media visibility is a very different ballgame from 15 years ago. Back then, press releases were just for the press. Hardly anyone outside the media and PR firms ever read them. Now that everything is online, press releases show up in people’s search results, in Google News and Yahoo News, and on industry websites. So, I say it’s okay to depart from the traditional style of release. I’m in favor of adding more background info and color to releases. Now, that doesn’t mean you should think of it as sales copy. Oh no. Keep it objective, but interesting. If your release can stand on its own as a well written article then it’s more likely to make a splash. An editor may decide to run it with only minor edits to fill some space. Consumers who find your release online will be more likely to read through, and then click through to your website. News websites and blogs may syndicate your release. I’m not going to teach you the format for releases, but when you’re ready just google [how to write a press release] and you’ll find plenty of sites to tell you the proper formatting rules. Stick to the standard format. Spend plenty of time on your headline. That’s what will make or break your release. Remember that reporters and editors will respond to headlines differently than general readers. You can tailor your headline for pick-up by established media, or for general readership. Ideally you’ll write a headline that appeals to all of your audiences. Write it about anything new: new products, new services, new facilities, new charitable efforts, new management… you get the picture. Your release needs to be newsworthy. It does not have to be ground breaking or amazing, just fresh. Once you have your release, and compelling headline, it’s time to actually distribute it. If possible, post it on your website first. That way search engines know you had the content first. Then you can e-mail it to all relevant media outlets. (Visit their websites and look for the “Newsroom” link.) You can send your release in email format – no attachments! – to the main Editors’ address, but it’s even better to hit the specific departments and reporters that cover the subject of your release. Finally, you’ll want some form of online distribution. This is what will get you into Google News and relevant websites. Reporters and editors also comb the feeds from online distribution, so it’s a double whammy combined with your e-mail to them. 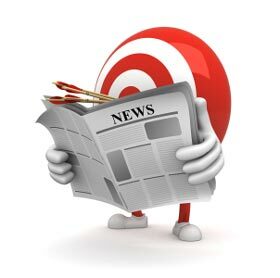 There’s a great and free press release distribution website, PRLog. I suggest you start there, as the paid distribution options can get expensive quickly. PRLog will let you set up a company profile with full contact info and logo. Your release can include a photo and up to three links, depending on its length. One of my favorite features is you can schedule your release. So, set up your online release ahead of time. You should try to send your release out on Tuesday, Wednesday, or Thursday. Mondays are too busy. People are just trying to finish the week on Fridays. Releases are often released first thing in the morning, but you might have fewer competitors during lunch time. You might get a call from the media for more details and such, so be prepared. Have some good pictures at high resolution on hand to send upon request. Now the fun part: you can sit back and watch. Search Google for your headline or random sentences from your release to see where it shows up! Your distribution service should also provide some data on how many viewers you had there. Hopefully someone will come in holding a newspaper with your picture and story in it. That’s what happened to J & J’s Deli after the release I wrote went out. Here’s the article. Get those releases out. Do it every few months. Don’t have time? Hire me. Call 919-636-0953 or e-mail me. It’s a lazy day around here with Memorial Day. We’re having a block party later on, and I’m guessing you’re probably not terribly focused on work either. So, this month I’m not going to write a long, original article. Instead I have some videos for you to check out if you have some time to kill and want some good business brain food. Sorry, I can’t embed this last one, and I don’t think it will be available forever. It seems kind of hypocritical to post this non-free video after Richard Stallman, but hey – I’m not perfect. Do you use your prospect’s favorite color? When someone visits a new website, picks up a paper, or glances at a brochure stand they make a snap decision. As quickly as possible they will decide if what they’re looking at is what they’re looking for. It might take them 20 seconds or happen in an instant. Either way, it happens long before they’ve had time to make a well thought out judgement of the whole of what they are looking at. Think about it. When you pick up a newspaper you glance at 80% of the headlines and read about 20% of the articles. Why? All those unread stories weren’t what you were looking for, and you decided that in a few seconds. So, in the newspaper business headlines are vital… actually in every business. Websites have a lot more going on than just the headlines. So does a brochure or a full-color mailing. There are colors, photos, graphics, and even video (on websites, not on brochures yet.) All of it can contribute to a prospect’s decision to stay or leave. All of it, but I’m just going to talk about colors for now. This is a follow-up to Is your business converting as well as it could?. To figure out your conversion rate you need two numbers. You need to know how many total times you had the opportunity to make a conversion – e.g. website visitors, phone calls, or walk-in customers. I’ll refer to this number as impressions for the sake of clarity. You also need to know the number of successful conversions. Note: Be sure to measure these over the same time period! That will give you your conversion rate. Bump the decimal place to the right two spaces and you’ll have it as a percentage. Example: Your website got 328 visits and you made 16 sales. 16 divided by 328 equals 0.04878. Bump the decimal over and you have a 4.878% conversion rate. Okay, that’s the math. What about getting those numbers? Obviously, if you have an ecommerce site it’s pretty easy to figure out the number of visitors and the number of sales. It’s a little trickier if customers visit your website, then call in an order or visit the store. The answer here is training. Train your staff to ask callers how they found you. Train your clerks to ask while they ring someone up. You can keep a clipboard by the register and the phone where your staff can mark down the answers. Heck, you could even use a fancy spreadsheet. If you’re tracking phone conversions be sure to tally how many total calls there were in addition to the number of sales made on the phone and how people found your number. Another option is to get an 800 number that forwards to your main line. Then put that number on your website instead of your regular number. Now you can track the number of calls that came from your website. Of course, that’s another monthly expense. Now, on the web there are a lot of ways to track conversions. For instance, you can define goals and funnels in Google Analytics or use Google Conversion Tracking. There are great click-tracking systems you can install like Crazy Egg or ClickTale. That’s a separate article though. This post first appeared in my e-mail newsletter. Is your business converting as well as it could? What do I mean by converting? I mean converting browsers into buyers. A conversion is when someone looking at your offerings decides to take the action you want them to take, i.e. making a purchase or providing you with their contact information. On a website, the conversion rate is the percentage of visitors who make a purchase or give you their e-mail address. When you know what your conversion rate is and what the average value of a conversion is, you can calculate return on investment, ROI, very accurately. When you know your ROI you can make the most informed and profitable decisions about the allocation of your marketing budget. The higher your conversion rate the greater your ROI. Next month I’ll get into measuring conversion rates, and I’ll have a special offer for newsletter subscribers who want some help getting a system in place to provide these metrics. Now, I want to tell you about how to increase that conversion rate.